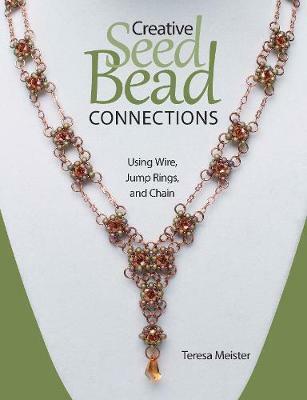 Theresa Meister's fine-scale wirework provides structure, and her beaded patterns bring on the color! Colorful seed beads, pearls, and crystals are used to create delicate jewelry components. Now link all these components together with wirework connections including wire loops, chain, and jump rings. The results are thirteen jewelry sets (each set includes a necklace, bracelet, and earrings) plus variation ideas giving readers a lot of options for exploring techniques. All jewelry makers will find this wearable jewelry to be classy and timeless.